Selfridges event – just me, lovely readers and thieving swines. I’m so appreciative to each and every reader of this blog and cannot believe how lucky I am to do what I love – both at work and on this site. 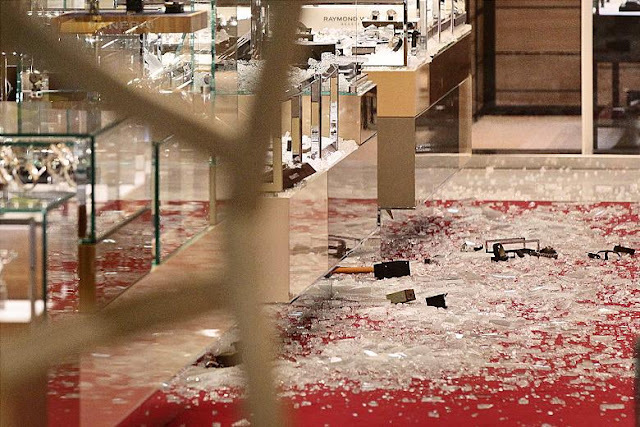 At 8.30pm on the dot 10 men held a smash’n’grab in Selfridges Wonder Room – leading to possibly the worst panic I’ve seen in my years of retail. When we were allowed back in the building a little while later we carried on as if nothing had happened – albeit a little shaken. Kudos to the Selfridges staff who were impeccable in both their concern for their customers and communication afterwards. All in all not an entirely dull occasion. Thank you Selfridges for having me – especially Barbie, Stephanie and the shop floor staff on the night. Next Post Sneaky peek of upcoming posts.